My day started off fairly morbidly as it began by exploring a Capuchin Crypt beneath the church of Santa Maria della Concezione dei Cappuccini. When moving from an old monastery in 1631, the monks arrived bearing 300 cartloads of deceased friars. Fr. Michael of Bergamo then oversaw arrangement of the bones amongst soil that had been brought from Jerusalem by order of Pope Urban VIII. 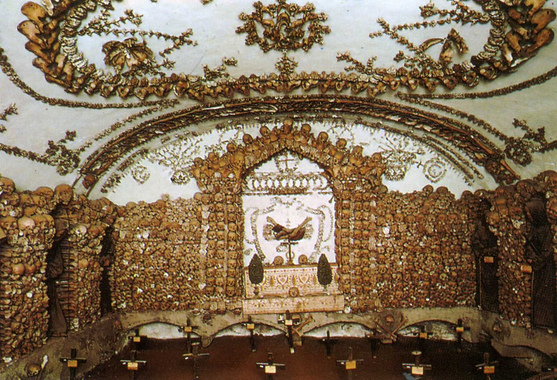 During the lifetime of the crypt, as monks passed away, longer-buried remains were exhumed to make room for the newly-deceased and the reclaimed bones were added to the decorative motifs.The average time span of decomposition was 30 years, and the total skeletal remains number 3,700. If you recall a former post, from my visit to Kutna Hora in the Czech Republic, despite modern-day opinions on death, bones, and gore, one could understand the thought behind such a display. It is not meant to be macabre, but a gentle reminder that each lifespan is but a swift passage on earth and even we can not escape our own mortality. 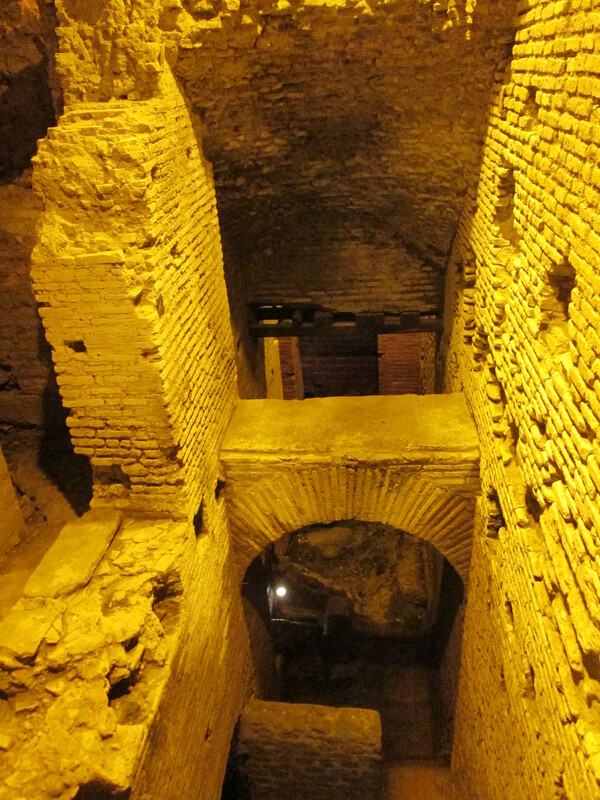 Experiencing a strong desire to bask in the roman air and sunshine, I emerged from these depths to stroll above ground. 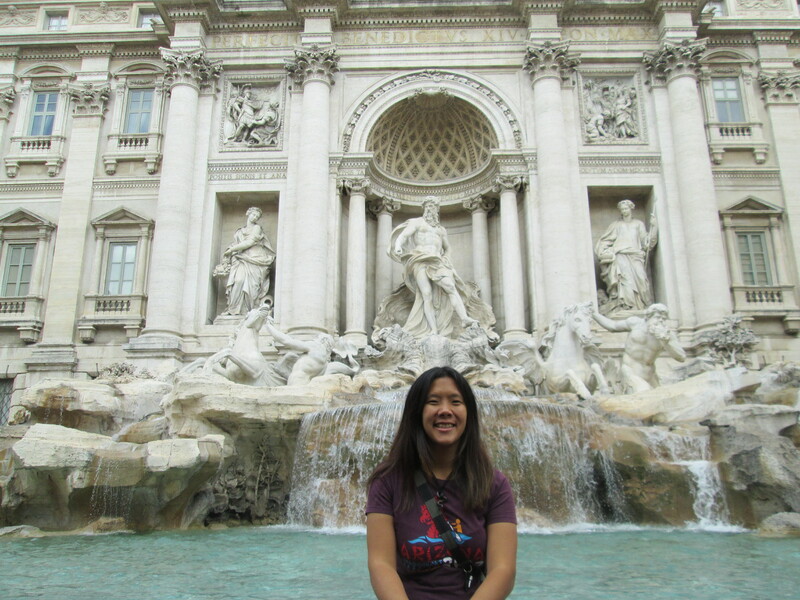 This led me to pensive pondering while admiring the infamous Trevi Fountain. I’ll speak more about the history and myths behind this landmark site in a future post as I came back to this location a multitude of times. A hop, skip, and jump away is an archaeological dig called the ‘City of Water.’ Discovered in 1999 during reconstruction of the former Cinema Sala Trevi, it is a little-known tourist destination. The excavation is merely 400 m², but reveals a 4th century Roman mansion built upon two former insulae and a section of aqueduct. This section is part of the Acqua Vergine and actually connects to the Trevi Fountain!